When you open most programs in Windows, they don’t run as an administrator even if you’re signed into an admin account. Known as User Account Control (UAC) User Account Control and Administrator Rights on Windows 10 User Account Control and Administrator Rights on Windows 10 Whether you use an Administrator or a Standard Windows account, what matters is your User Account Control security level. Here's what you need to know. Read More , this protects your PC from granting unneeded privileges and potentially compromising its security. However, oftentimes you need to run a program as an administrator to make changes or troubleshoot. Here’s a quick reference list of some ways to do so. 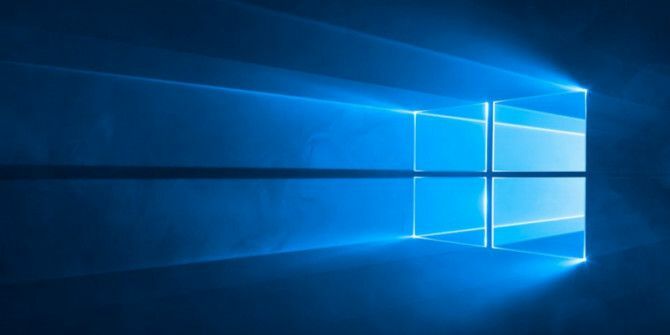 Whether you want to launch a program from your desktop, Start Menu, or File Explorer, right-clicking on it will show a Run as administrator option. Once you click this, you’ll see the UAC prompt to run the program with admin rights. This is reliable, but does take a few extra clicks. As with many operations, you can use keyboard shortcuts Windows Keyboard Shortcuts 101: The Ultimate Guide Windows Keyboard Shortcuts 101: The Ultimate Guide Keyboard shortcuts can save you hours of time. Master the universal Windows keyboard shortcuts, keyboard tricks for specific programs, and a few other tips to speed up your work. Read More to launch programs as an administrator more quickly. To do so using only the keyboard, press the Windows key to open the search bar, then you can immediately start typing the name of the program you want to open. Once it’s highlighted, hold Ctrl + Shift and press Enter. This will launch the UAC prompt, and you can press the Left arrow key followed by Enter to accept it without touching the mouse. You can also hold Ctrl + Shift when clicking a program icon to run it as an administrator. For something a bit different, you can launch programs as an admin through the Task Manager. Use the Ctrl + Shift + Esc shortcut to open it, and expand it with More details if needed. Click File > Run new task and enter the name of the executable you want to run. Use the Browse button to locate it on your PC if needed. Make sure to check Create this task with administrative privileges, and click OK to run it. Remember that if you don’t have admin rights How to Get Admin Rights on Windows How to Get Admin Rights on Windows Do you need to get administrator privileges on your PC? We show you what's restricting your admin rights and how to recover control over Windows. Read More , you won’t be able to open anything as an administrator anyway. Explore more about: User Account Control, Windows Tips.